Phoebe Cates Kline opened Blue Tree in the fall of 2005! Phoebe's dream was "to have it be like a general store but according to me." :) A surprise around every turn, the shop has built up a loyal following not only in the neighborhood of Carnegie Hill but all over the world. 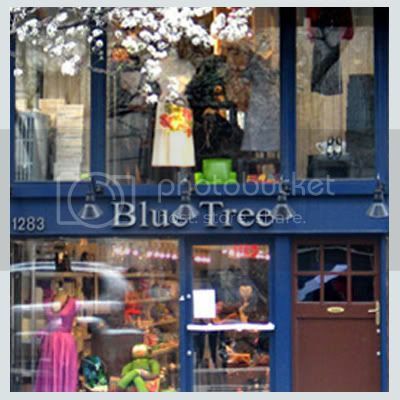 Known for its eclectic and inspired selection of women's clothing and jewelry, Blue Tree also carries unique and carefully chosen items in home, gift, fragrance, music, delicacies, etc. There are no rules. And we are always re-inventing, recreating in the hopes of delighting.